Charlotte Westfield was born on August 1, 1920 to William and Amelia Eilers Keiser in Marble Township, Minnesota at the home of her grandparents. She was educated in a one-room country schoolhouse through the 8th grade. Charlotte was a good student and wanted to go to high school, but there was no bus service and it was too expensive for the family to board her in town. She married Arthur Siverson on September 21, 1940. For short periods of time they lived on farms in Marble Township and near Madison, MN before purchasing their farmstead near Canby, MN in 1946. Arthur passed away on September 27, 1961. Charlotte remained on the farm and continued to manage it until her subsequent marriage to Lowell Westfield on May 31, 1968. They lived in Wahpeton, ND until 1984 when both retired and moved to a house in the country outside of Litchfield, MN. Here Charlotte had space for a large garden and plenty of room for family entertaining. After Lowell passed away on June 24, 2006, Charlotte moved into Immaus Place in Litchfield, MN and resided there until October 2011 when she moved to O’Brien Court in Tracy, MN. In February 2016 she moved into Prairie View Healthcare Center in Tracy where she passed away on Friday, February 1, 2019 at the age of 98. 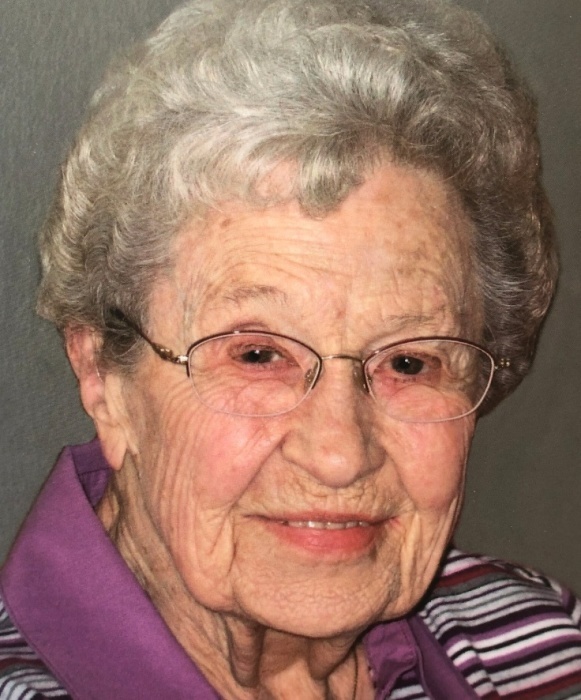 She belonged to the Ladies Extension, was a 4-H leader, and taught Sunday school. Charlotte was an avid bowler and went on to compete in state tournaments. Her hobbies included sewing and gardening. She sewed clothing for her children when they were young and helped make many quilts for church missions and at Immaus Place. Her gardens were large, productive and well tended. Making angel food cakes from scratch (and from a secret recipe) was her baking specialty. Her cakes were in high demand for special events. Other enjoyments included the love of family and family gatherings, travel, and playing games – especially Fast Track. Survivors include her four children and two step-children and their spouses: Dwight Siverson of Craig, CO; LoAnn (Jim) Hansen of Currie, MN; Kathleen (Lynn) Enquist of Princeton, NJ; Neil (Sue) Siverson, of Lake Elmo, MN; Sharon (David) Hugget of Somerset, WS; Caryl (Michael) Stanley of Durban, South Africa; 16 grandchildren; 19 great-grandchildren; one sister, Darolene Holmlund; one brother, Darold Keiser; one sister-in-law, Jackie Keiser; one son-in-law Michael Miller; and many nieces and nephews, other relatives and friends. Charlotte was preceded in death by her parents, husbands, stepdaughters, Nancy Miller and Juanita Gillespie, sister, LeDeal Olien, and brothers, Arvin, Donald and William Keiser. Tracy Lutheran Church in Tracy, MN on Monday, February 4, 2019 at 11:00 a.m. with Rev. Eric Natwick officiating. The organist is Patty LeClaire with special music by Kristin Bohn. The pallbearers are her grandchildren. Interment is at Canby City Cemetery. In lieu of flowers please consider a donation to a local hospice.